This CyberLink PowerDirector Review was revised and updated on Feb 13, 2018. 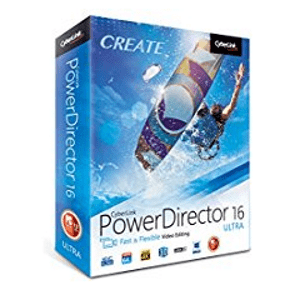 With CyberLink PowerDirector 16 powerful, innovative new features, high speed, and easy to upload to social networking, makes it our best Video Editing software. With CyberLink PowerDirector Deluxe with native 64-bit support and new easy to use interface, you will discover the joy of using PowerDirector for editing and converting video, and with one of its kind features available. True Velocity which leverages both hardware and software technologies to speed up achieve video processing acceleration. At the Architectural level, TrueVelocity is optimized for modern CPU and GPGPU and maximizes memory allocation and usage, while through Feature Optimization; TrueVelocity reduces latency and improves overall effectiveness. Unlike other media editing programs, new users can easily understand PowerDirector features. PowerDirector is a great start for amateur video makers and/or editors for movie production. Its menu includes all the basic tools needed for editing. There are also features for video projects in various formats. Content sharing is at its peak with the studio’s uploading and burning movies features.. The HD workflow and “Pre Rendering” of clips allows you to preview your video in full HD quality in real time without any loss in performance. 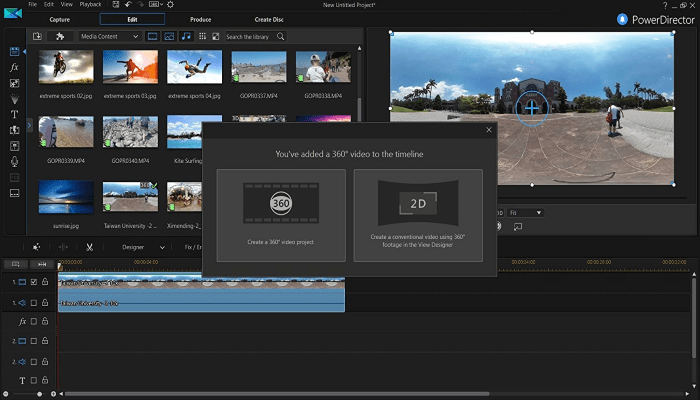 Now you can preview your clips in its fullest detail while continuing to enjoy interrupt-free editing. Express movie making, real time effects, online sharing, blue-ray authoring and burning, and professional content. HD workflow involves the ability to edit, burn, share, and import videos in standard or HD format. PowerDirector 16 includes many Power Tools and fixes that help users to enhance their footage and produce stunning video effortlessly. and also for advanced users, PowerDirector full set of editing tools lets you control everything from keyframe to audio. With PowerDirectore you can edit lighting, color, and stabilize your video, from the Fix/Enhance button above your timeline. Other buttons offer Split, Modify, Trim, Multi Trim, Fix/Enhance Power Tools, and Keyframe. The trim tool allows precise control (down to the individual frame) with two sliders, and the multi version lets you mark several In and Out points on your clip and the Zoom-in Cut Tool which allow you to edit at microscopic levels right down to a single frame. 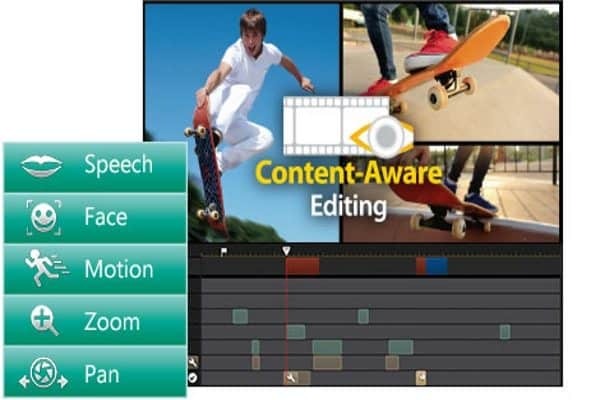 PowerDirector’s magical editing tools provide video and photo enhancements automatically. Magic Movie Wizard lets you create movies in minutes using professionally designed templates. PowerDirector 16 now includes 3D-style templates that will definitely make your movie come to live. Also CyberLink PowerDirector offers a multitude of output options: H.264 AVC, WMV, AVI, MPEG-1 through 4, and MOV. You can also choose a device to output format from, such as Apple devices, Blackberry, Google, or Microsoft phones. You can also target Sony PSP, Xbox, or Zune. Writing to DV or HDV tape. CyberLink performed solidly throughout our testing, the rendering performance was fastest comparing to other competing software, and the quality of the generated video files was excellent. CyberLink’s PowerDirector has all the speed and all the advanced features an enthusiast video editor to beginner to intermediate users with solid performance comparing to other software. 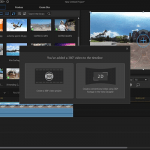 PowerDirector responds to actions much faster, and produces the finished products much faster and better quality, this make us to choose as our best Video Editing Software in the market.